'Buon Appetito': Pope Francis Blesses Meal for the Poor at Lunch in D.C.
"Who would ever think there comes a time in your life that you meet somebody like that?" Fresh off his historic speech to Congress, Pope Francis blessed a meal for 200 needy residents of Washington, D.C., Wednesday, at Catholic Charities of the Archdiocese of Washington. "Buon appetito!" 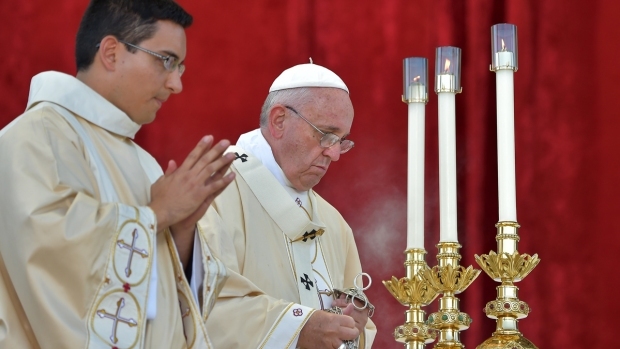 the pope said after invoking "the Father, the Son and the Holy Ghost" in blessing of the meals. He then plunged into the crowd waiting for him since early in the morning. "I got goosebumps and it's still here," Sylvester Jackson, 57, one of the first to arrive to the lunch site at around 8:30 a.m., said after the pope's visit. "This was amazing. This will be one day I always remember. I'm going home to call my son and tell him about it." 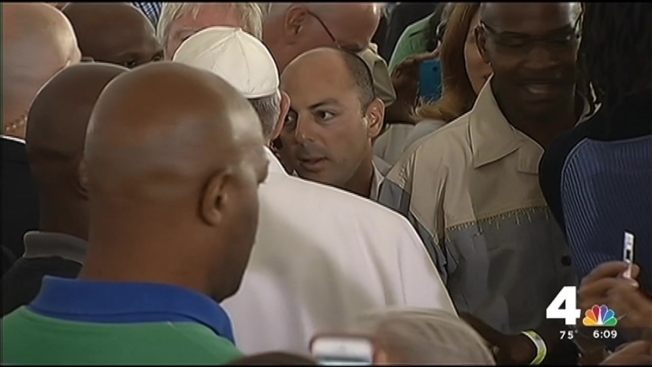 The pope smiled as he worked his way through a mass of people for about five minutes, waving and shaking hands. People screamed and cheered, snapping photos and stretching out their hands to touch his – the food seemingly forgotten for a moment. While many tried to get close to the pope, others sat quietly eating their meal. Francis was presented a book called, "Walking With Francis," according to News4's Pat Collins. Following his speech to a joint meeting of Congress, Francis headed directly to St. Patrick in the City, Washington's oldest Catholic Parish, where he spoke in Spanish to about 400 people, addressing parishioners, people served by Catholic Charities located next door and choirs from two local high schools. "There are many unjust situations, but we know God is suffering with us, experiencing them at our side," the pope told them. "He does not abandon us." He called for charity and compassion toward the homeless and the least fortunate. And he said there is no social or moral justification for a lack of housing for the people. He prayed with the group, which included the homeless and domestic violence victims, and gave them a blessing. The pope then walked outside to bless the lunch but did not sit down for a meal. 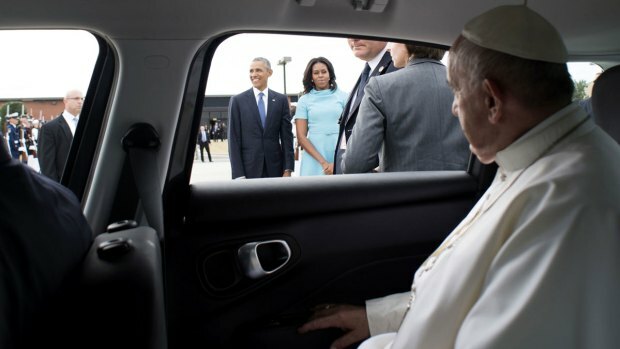 But that didn't matter to those who had a private moment with the pope. He stopped at Cheryl Alston, then took Alston's hand and held it. He grasped her other hand and held both of them. "I'm 67 and I feel like I'm two," Alston said afterward. "I haven't stopped shaking." Long after the Pope departed, and with workers cleaning up around her, Alston, a lifelong Catholic, reveled in the moment. "He considers himself just a man," she said. "He doesn't hold himself higher. It feels like he is with us." A massive crowd gathered at the Capitol in anticipation of Pope Francis' address to Congress. Alston is a Catholic Charities success story. Several years ago she had some difficulties and became homeless. She called a social worker for help on a Wednesday; on Monday, the worker called back and said Catholic Charities would take the case. The organization helped her into a one-bedroom apartment. "With nine windows!," Alston said with a smile. That was six years ago. She's gone from having her rent and utilities fully subsidized to paying for just about everything on her own. And she's now a volunteer, tutoring people to help them earn their General Equivalency Diplomas. On the menu for her lunch: chicken teriyaki, Asian pasta salad, steamed green beans and carrots and a roll, plus a brownie or blondie for dessert. The meal was prepared by a Catholic Charities program that delivers more than 1,800 meals a day to local schools, day programs and home-bound seniors, according to Catholic Charities. The tables where the clients ate were covered in pale blue tablecloths and topped with white hydrangeas and yellow roses and daisies. Francis was also scheduled to bless a "Homeless Jesus" sculpture by Timothy P. Schmalz, but did not appear to reach the statue before driving off in his Fiat back to& the Apostolic Nunciature. 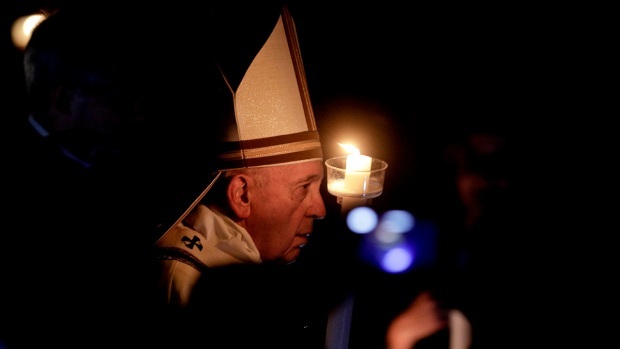 Pope Francis will make history Thursday, when he becomes the first pope to address the United States Congress. David Ushery reports. 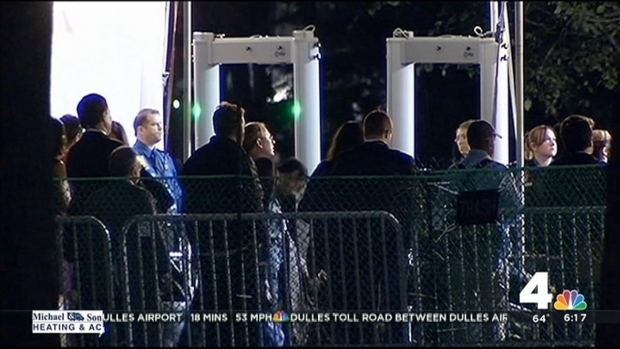 "It's gonna be like a freeze, like a cold chill," Jackson said before pope's arrival. "Who would ever think there comes a time in your life that you meet somebody like that?" said Jackson, who lives in a men's shelter in southeast D.C.
One of Francis' central messages to the faithful since becoming pope in 2013 has been to remember and give back to the poor. He's been lauded for washing the feet of the poor and the imprisoned. Many who've flocked to Washington said they were excited to see him because he connects so well with everyday people. Jackson is Baptist, but he said that didn't change how he would perceive the head of the Roman Catholic church at Wednesday's lunch. "It's one God. He's speaking for one God to the whole world," Jackson said. Catholic Charities of the Archdiocese of Washington tweeted Wednesday morning that St. Patrick's decided to employ men from its shelters to clean the church, rather than hire a cleaning crew. Myishashona Williams-Barnes, 38 and disabled, credited Catholic Charities for helping her through a very hard period in her life, providing her and her two sons with beds, clothing and household items. "If I didn't have them, I wouldn't know where to go," Williams-Barnes said.